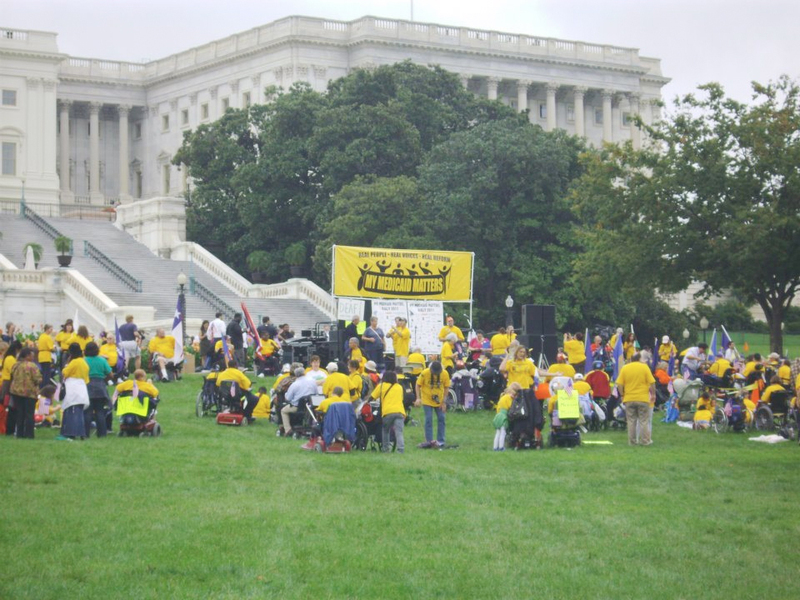 On September 21, activists led by ADAPT and 90 allied organizations rallied in support of Medicaid (Medi-Cal in California) which is slated for deep cuts by the Super Committee on Budget Cuts– both Dems and Republicans. Pushing Limits Producer, Marissa Shaw will have a first hand report soon. Those of us who couldn’t make it to D.C., rallied in San Francisco. Notice the paper chain behind these folks. 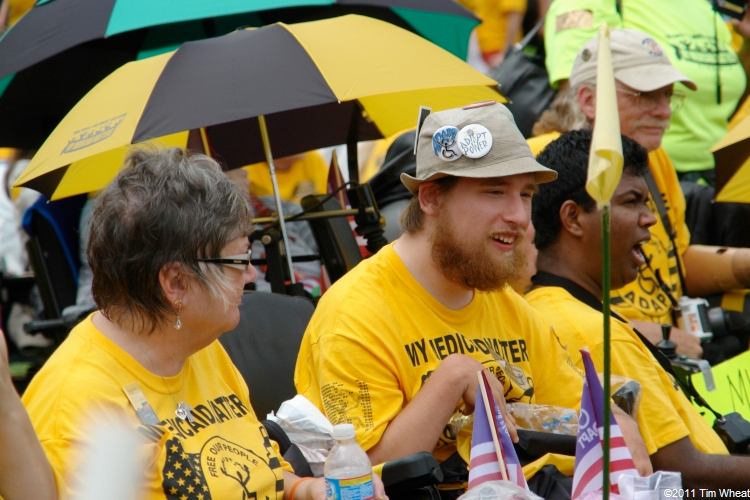 Each link is someone’s story about their use of Medicaid and the chain symbolically linked this rally to those held around the country. For more pictures and stories, ADAPT. This entry was posted in Activism, California Budget, Health Insurance Reform, Protest and tagged ADAPT, CUIDO, My Medicaid Matters. Bookmark the permalink.